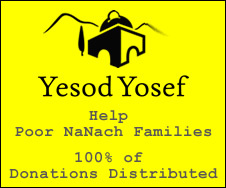 Everyone knows that there is much money to be saved immediately, by bringing Rabbi Nachman. What is not known is that the Ukraine makes a fortune from the wheat we buy from them (80% of our TOTAL CONSUMPTION) and the Uman business of Rabbi Nachman is ABSOLUTELY inconsequential by comparison. If the Israeli Government makes the request, our trading partner will happily oblige. They do NOT respect private requests, it is because their big customer is not a private citizen and they have no loyalty to private individuals. The 5 importers will be willing to cooperate with the Government. As you know the subject is much more important then a mere trade transaction. This technical detail is important however for the negotiating team.